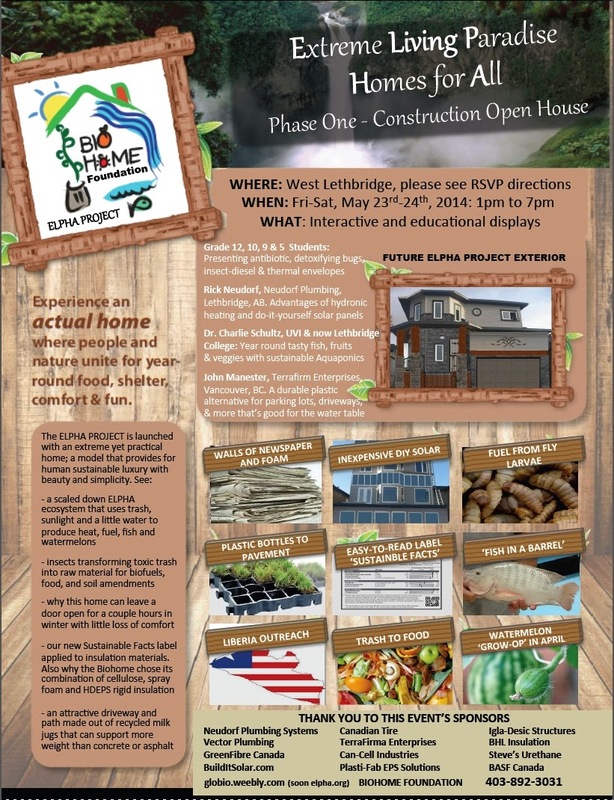 Todd Hudson is having an open house on May the 23rd and 24th of his amazing Bio-Home in Lethbridge Alberta CA. I've worked with Todd a little bit over the past couple years as he has worked through the designs for the dozens of unique features that the house has. His ability to turn promising concepts into reality on the ground is very impressive. Joan and I will be there Friday afternoon -- please say hello if you come by then.